Fri., June 29, 2018, 11:39 a.m.
ARLINGTON, Va. – When Barry Trotz resigned, the Washington Capitals didn’t even bother with a coaching search. 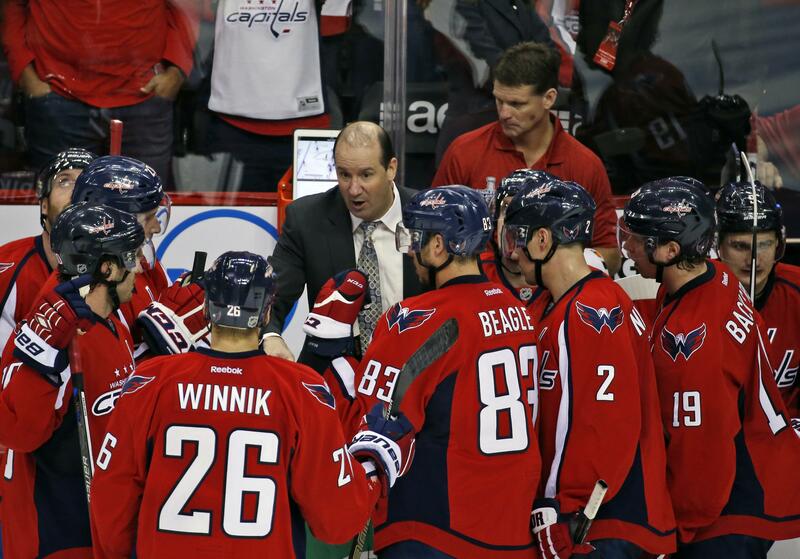 Top assistant Todd Reirden will take over the Stanley Cup-champion Capitals, promoted from the bench on Friday in a move that allows Washington to maintain a sense of continuity. Reirden coached the defensemen the past four seasons, was a finalist for another NHL head job two years ago, earned a promotion to associate coach and played a substantial role in the first championship in franchise history. The 47-year-old former defenseman coached the American Hockey League’s Wilkes-Barre/Scranton Penguins for parts of two seasons before serving as an NHL assistant with Pittsburgh for four years. Reirden was a finalist for the Calgary coaching job two summers ago but after losing out to since-fired Glen Gulutzan was given a raise and the associate coach title by the Capitals. As the assistant in charge of the defense, Reirden had a hand in the development of John Carlson, Matt Niskanen and Dmitry Orlov. Reirden describes his coaching personality as a mix of those he has worked with in the past – the honesty of Joel Quenneville and the systems skills of Todd McLellan and Todd Richards. He drew rave reviews from Capitals trade-deadline acquisition Michal Kempny, who credited Reirden for putting together an effective plan that contributed to a key part of the Cup run. Current and past players praise Reirden for his ability to not only strategize but communicate. As the NHL moves away from taskmasters behind the bench, Reirden fits the mold of a modern coach. Published: June 29, 2018, 11:39 a.m.